Nokia has always been ready with something new and innovative in the connectivity industry. Finally Nokia has again been the first to work on the new ERA of connectivity to start 5G ERA. Nokia says Nokia's 5G FIRST allows operators to address the near-infinite capacity demands of new applications anywhere - seamlessly and securely. This industry-first 5G solution provides innovations that will power the global nervous system. 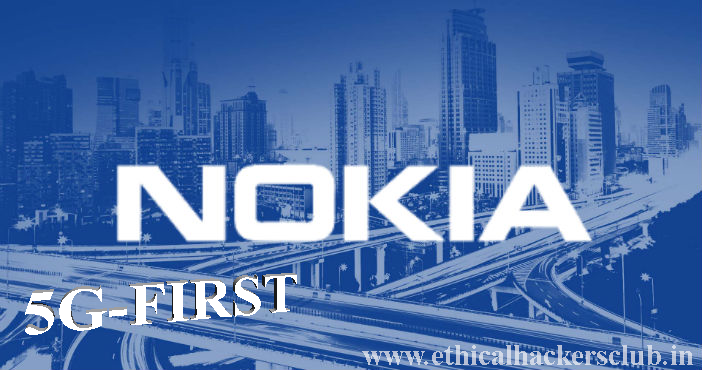 5G FIRST builds on Nokia's commercial 5G Nokia AirScale and AirFrame platforms to provide a versatile solution that spans the network. Must Read: Know Our Mission . 5G Acceleration Services, which help operators deploy 5G quickly and smoothly. Must Read: Join Ethical Hackers Club . Must Read: Know our Committee Members.